During Women’s History Month this March – AIGA Rhode Island celebrates women in design for our fourth year with the KnowHER Summit at the WaterFire Arts Center. On March 23rd we will bring you several talks, workshops, a panel, plus a market including talented designers and creatives who are moving mountains in our industry. Afterwards you’ll have an opportunity to meet the makers at our after party hosted by Saint Monday! Sarah Rainwater is the Founder and Creative Director Studio Rainwater, an award-winning branding and creative strategy agency in Providence, Rhode Island where she helps businesses and organizations show the world why their work matters. Before founding the agency in 2010, Sarah Rainwater was a designer and art director in New York and Los Angeles where she worked on projects for the Guggenheim Museum, Sony, Four Seasons, Paramount Pictures, Time Warner, Reebok, and Honda among many others. Her background in fine art and extensive experience creating successful brands gives her a deep understanding of how art, technology, and design can forge meaningful human connections. June Shin is a Seoul-born, California-raised designer, now based in Providence. She holds a BA in Art History from Cornell University and an MFA in Graphic design from RISD. Her work largely centers around innovative uses of type and has been recognized by Art Directors Club, Type Directors Club, Society of Typographic Arts and Graphic Design USA, among others. By day, she is a type designer at Occupant Fonts, a brand of Morisawa. By night, she maintains her graphic design and lettering practice, working out of her desk at the Design Office. 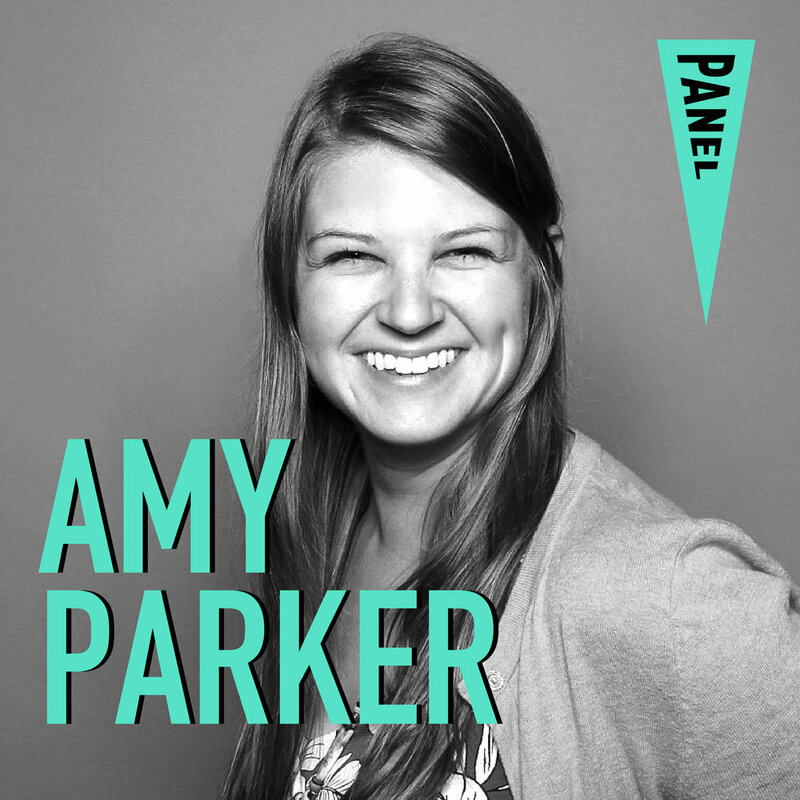 Amy Parker is the co-founder and Design Director at Woods Creative. Amy runs Woods’ Portland, Maine studio where she leads creative strategy, ideation, and digital design to make communication solutions, digital products, and visual languages for brands. Amy also works in tandem with her research partner to conduct primary one-on-one interviews for design and Human Experience/User Experience research to gain insight, understand nuanced problems, ask questions, and uncover findings to identify form, content and functional needs. Her current clients are focused on futurism: The future of AI and robotics, the future of wearables and fiber technologies, and the future of the green industry. A few notable clients Amy has worked with are: Pegasystems, Daily Table, University of St. Gallen, 240 Strings, John Hancock, Mettler Toledo, Material Wise (Podcast), Bank of America, Noble Biomaterials, Cessna, New Balance, Puma, and Rising Bear Foods. Amy holds a BFA from the New England School of Art and Design and also serves on the board of directors with AIGA Boston. Following a national search, Caroline Payson became the Museum’s Executive Director in February 2016.For 10 years prior, she was Director of Education at the Smithsonian Cooper-Hewitt National Design Museum. In that role, she was responsible for conveying the importance of design and design thinking in everyday life education programs for audiences including teachers, students, professional designers, scholars and the general public. Major initiatives included the website’s Educator’s Resource Center (400 standards-based lessons in all curriculum subject areas and videos modeling best practices); Design-in-the-Classroom, the Harlem Design Center; and National Design Week. Other past roles include Director of Educational Services for Maryland Public Television, and a number of faculty and administrative positions at the New School/Parsons School of Design, including Associate Dean and Chair for Liberal Studies. She received a 2014 Smithsonian Education Award for outreach to underserved audiences and has been recognized for contributions to art education and design. Originally from Boston, she received her master’s degree from Johns Hopkins University and her undergraduate degree from Sarah Lawrence College. 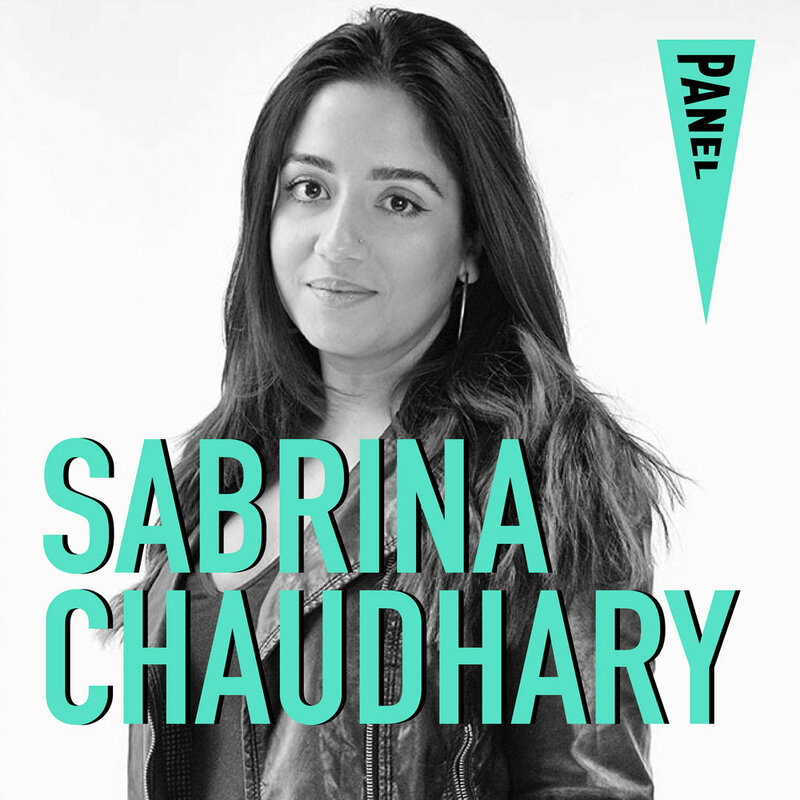 Sabrina Chaudhary is Co-Founder of Stay Silent PVD + Trade Pop-Up in Providence. The focus of her work is creating alternative spaces for hip-hop communities using design, music, fashion and experiences. Her company is known for organizing various hip-hop events such as Eggs Over Brunch, Luv U Better, and their biggest festival, DAYTRILL. Lucinda Hitchcock is book designer, writer, typographer, and professor in the graphic design department at the Rhode Island School of Design. Her research interests range from explorations of narrative and poetic environments, dimensional typography, and the connections between literature, automation, and the form of writing. She has a BA from Kenyon College, an MA in literature from Columbia University, and an MFA in graphic design from Yale. She is an affiliate member of The Design Office and lives with her family in Providence, RI. Lucinda Hitchcock’s design practice produces books and other typographic material for such artistic and cultural institutions as the Metropolitan Museum of Art, the Boston MFA, Tufts University Galleries, and the RISD Museum, to name a few. Her designs have won awards and been showcased in Communication Arts, AIGA 50 Books, Print Magazine, Best of New England exhibitions, and the American Association of University Presses exhibitions and catalogues. Ally Thatcher is an independent designer + illustrator based in MA. She's the creator of Fallen Cargo, an apparel brand centered around the preservation of black culture. She's worked in branding + packaging for TOMY, Hasbro, Popkitchen Co. and art director, Joe Perez. Lisa Carnevale is the co-founder and executive director of DESIGNxRI, an organization working to help the RI design sector to thrive. Since 1997, Lisa has ran her own strategic communications firm, started new creative nonprofit organizations, and led innovative initiatives in both Seattle and Providence. She melds her years of experience as a communicator, creative thinker and entrepreneur into forward-looking strategy and execution for start-up organizations. Learn how to make two book structures; one folded and one sewn. The books are perfect for self publishing your own democratic multiples, and can be inexpensive artists’ books sold cheaply or even given away. This workshop is intended for beginners, as it covers book arts basics, but it also is great for people that want to add new book structures to their design practice. Lara Henderson is a book artist, printmaker, designer and educator based in Providence, Rhode Island. She attended the University of Massachusetts Dartmouth for her BFA in graphic design/letterform. In 2010, she completed her MFA at the University of the Arts in book arts/printmaking, focusing on book structures and offset lithography. After completing her MFA, Lara was the Printshop Manager at the AS220 Industries, a maker space in Providence, Rhode Island, for three years before becoming the Industries Director in 2014, overseeing not only the Printshop, but also the Media Arts and Labs, a digital fabrication space. Henderson’s work has been collected by libraries across the country, including the American Philosophical Society and the RhodeIsland School of Design. She has made presentations about her work at the Art Book Fair at PS1 in 2011 and at Southern Graphics Council in 2015. Kristine has a passion (some might say obsession) with helping clients create clarity, define their purpose, and determine a clear path forward. As an entrepreneur and founder of Orange Square, she is on a mission to make marketing meaningful by using proven tools and processes that extract organizational expertise to create clarity and focus. She believes in defining value from a customer point of view and the power of design and visualization to create shared meaning. With a passion and focus on healthcare and education, Orange Square focuses on building business value by creating and managing integrated brand experiences across all touchpoints. A graduate of the Rhode Island School of Design, Kristine is always looking for clients with complex problems who are driven by purpose to partner and grow with. Would you like to help KnowHER be the best design series ever? Become a 2018 Sponsor! Please reach out to Jon at jon@rhodelsiand.aiga.org. We look forward to collaborating with you. Women of Graphic Design, a blog curated by Kathleen Sleboda of Draw Down and Tori Hinn of Google Creative Lab, gave KnowHER a shoutout! Check it out here. Sienna Giraldi from WBRU, Brown University's radio station, featured a segment on KnowHER Design Talks. For further questions, or if you're interested in getting involved, email events@ri.aiga.org.